The Gospels are called the books of the New Testament, which tells about the life of Jesus Christ, his public Ministry, crucifixion, and burial. For the Orthodox Christian gospel is one of the most important books of the Bible. 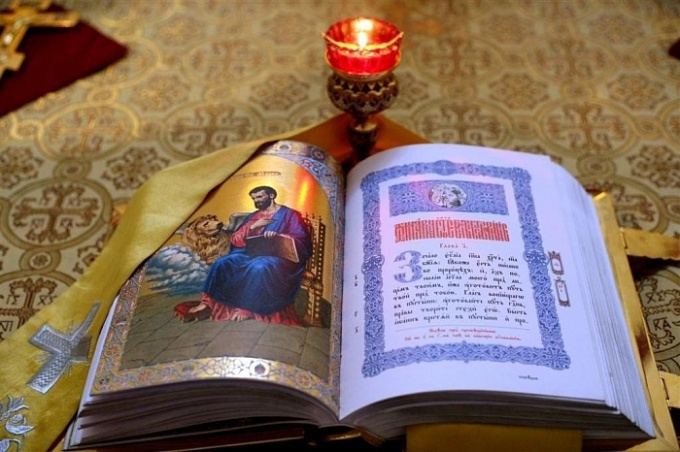 The canonical Gospels are called those who accepted the fullness of the Orthodox Church. There are four Gospels included in the body of books of the New Testament. The authors of these inspired works were the apostles Matthew, mark, Luke, and John. In addition to these four Gospels, there are apocryphal works. For example, the gospel of Judas, the gospel of Peter. These books not admitted by the Church canonical, because it had questionable content. Also not the exact authorship of these Gospels. It is possible that the apocryphal Gospels, in contrast to the canonical, was written several hundred years later than the birth of Jesus Christ or the authors of the Apocrypha were heretical Gnostics. As mentioned above, the canonical Gospels all the fullness of the Church recognizes the gospel of Matthew, gospel of Mark, the gospel of Luke and the gospel of John. From the very beginning of the development of Christian written none of the believers did not doubt the authority of these sacred books. These works were accepted as absolute truth without any admixture of various false doctrines. Objectively these are the four Gospels narrate the life and teachings of Christ, tell about the events of new Testament history. Already in the first century, these works were quoted by believers. However, approval of these four Gospels as canonical was taken only in the fourth century. In the history of the Christian Church 360 year can be called the time of approval of the Canon of the books of the New Testament. This event was held at the local Council of Laodicea. The fathers of the Council approved all 27 canonical books of the New Testament, and that was part of the gospel under the authorship of Mark, Matthew, Luke and John. Later at the VI Ecumenical Council (680 year) the Canon of the New Testament books were has universal character.